Being a nail art addict - OK, I really meant to say enthusiast, I have many items to store. But yet I want to keep them easy to access. 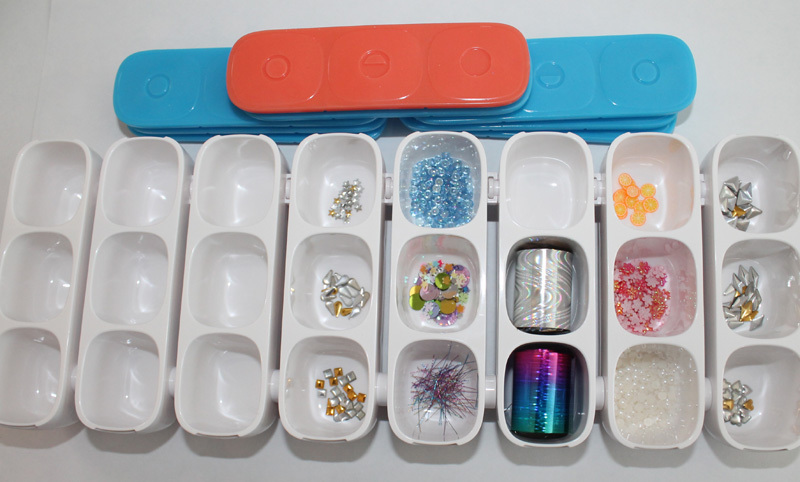 This DayBox pill box may have been designed for something else but I am using to store those tiny nail art items that I use. 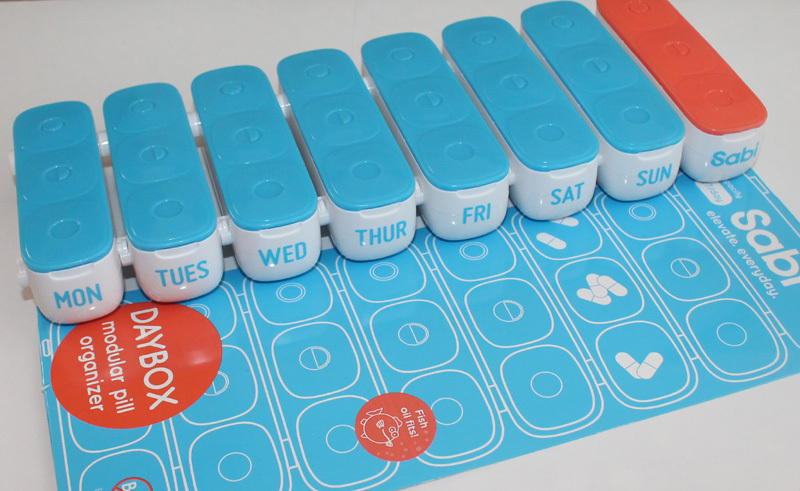 The DAYBOX pill box is Sabi's largest pill box, a weekly organizer for medication management featuring eight pill boxes, each inscribed with the day of the week (plus one extra!) and each with three extra-spacious pill box compartments, suitable for storing a large number of large-sized pills, vitamins and supplements. But of course I don't use it for pills. 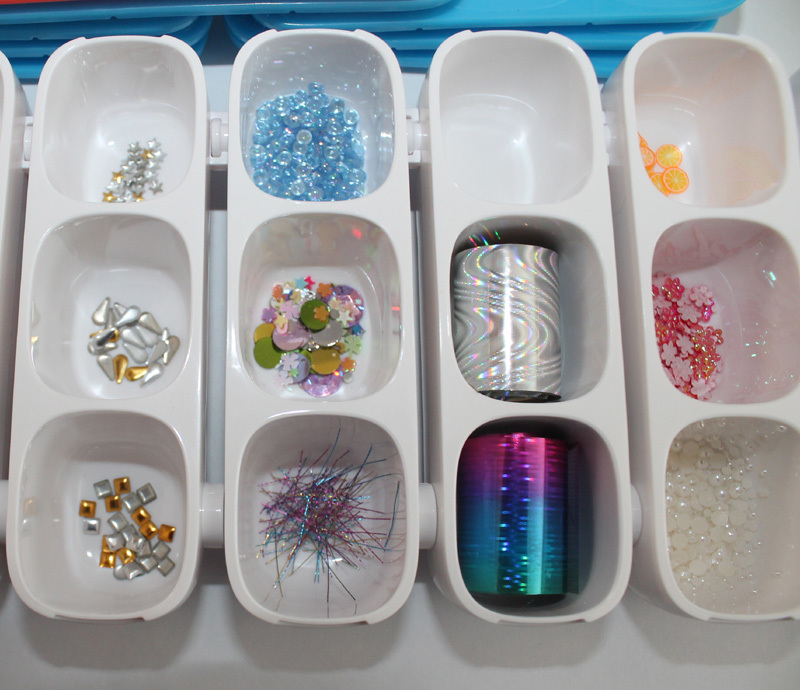 I used it for nail art items - rhinestones, flowers, glitter, pearls, studs, foil... you name it. 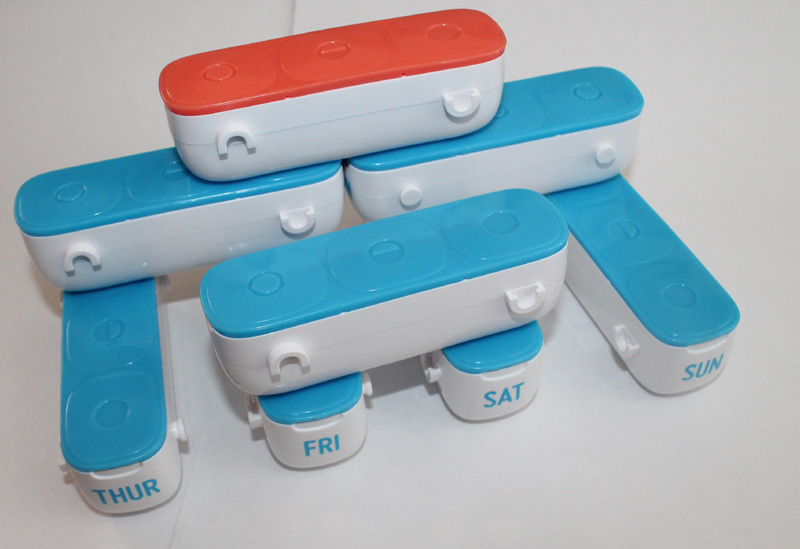 Eight individual boxes clip together to form a beautiful box and easily detach so you can only grab the case you want. In the case of nail art items, it means you gain much needed work space by only grabbing the individual case that you need. My workspace is cluttered normally. It has nail polish, acrylic paint, brushes, cuticle sticks, remover, cotton balls, dotting tools and many more items. 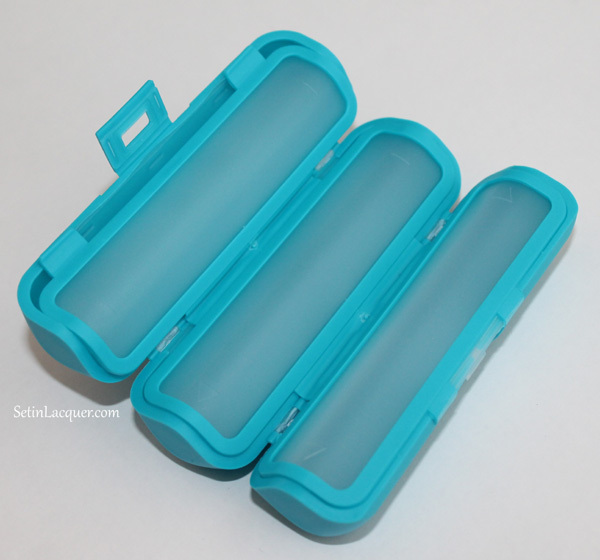 Each daily pill (nail art) box is covered with a soft peel-back rubber lid that is easy on the hands to open and close, making loading with pills easy. 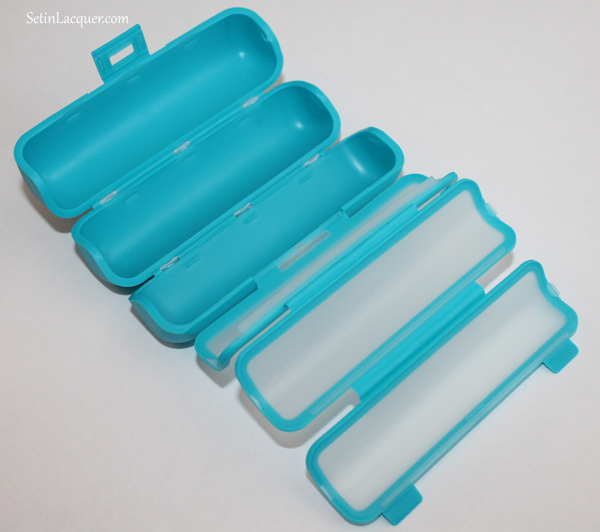 Rounded compartments make extracting items easy as well. 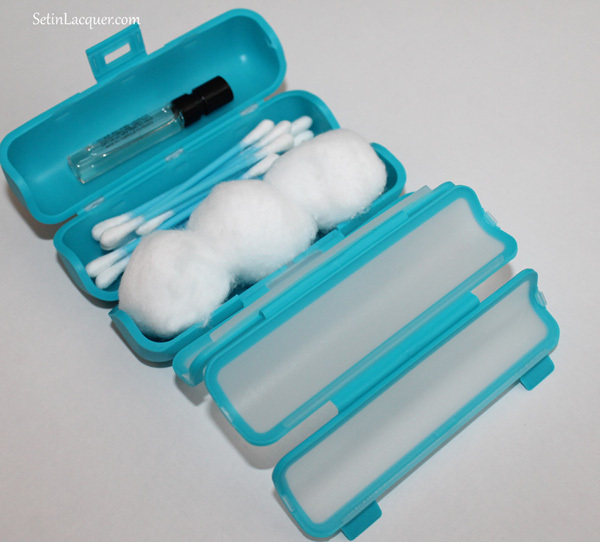 The individual box fits well into any purse, bag or briefcase. I love how this keeps everything handy and organized. The Day Box is covered in soft, supple rubber and is nice to the touch. It is easy to open and close. 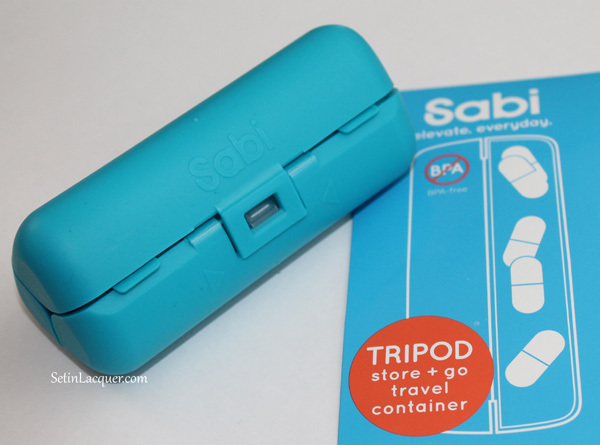 To keep up with their products follow them on their Facebook page at https://www.facebook.com/Sabibrand and on Twitter @sabi_brand. Any nail art or cosmetics lover knows that when you see a product you often wonder how it could fit into the nail art or cosmetics world. I received such a product and I see so many possibilities for it! In my career, I find myself on many overnight trips. Keeping the packing to a minimum, but including my favorite products is important to me. The TRIPOD is perfect for small makeup items. I am in love with sample size fragrances. But they are fragile and having one break in your purse is a perfect way to clear a room quickly. 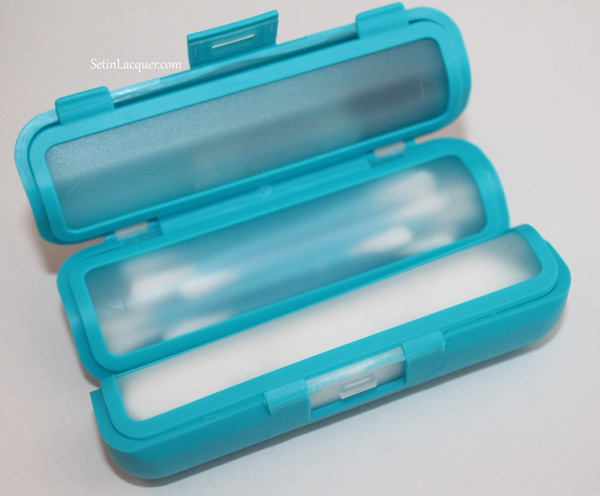 The TRIPOD keeps those samples safe as the case is soft to the touch, yet tough enough to protect it. It also allows enough room to keep those makeup removal products handy. 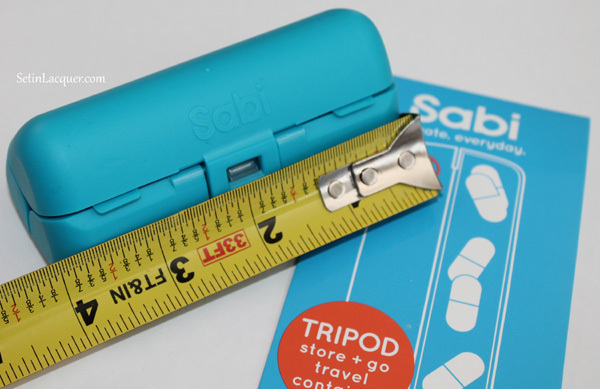 The TRIPOD pill box is covered in soft, supple rubber and is nice to the touch. It is easy to open and close. It fits perfectly into my purse. I may buy a couple more to keep in my overnight bag.